Tell us your scary story and you may win a dinner for two at the home of Dan and Mindie Burgoyne in Marion Station. The Vance Miles House, a home built in 1892 is famous for being the inspiration of Mindie Burgoyne’s writing about ghosts, hauntings and eventually creating the largest ghost trail in the USA. 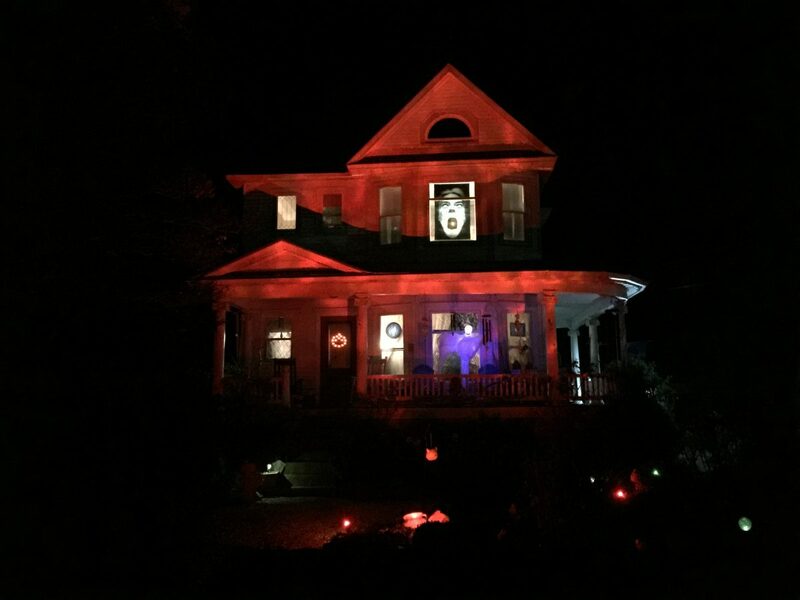 This Victorian home sent in Somerset County (30 miles from Salisbury – 22 miles from Snow Hill, 15 miles from Princess Anne and Pocomoke) has had paranormal activity going on for the past sixteen years. Mindie and Dan will welcome you, recount stories and give you a tour while hosting a nice dinner buffet with local wines and Smith Island Cake (Maryland’s State dessert) for dessert. With the help of your guide / storyteller, post a video of yourself telling a quick story about a paranormal event you or someone you know has experienced in the Chesapeake Ghosts Facebook Group. The 4 best stories on video (voted on by the Chesapeake Ghosts Management Team) will win two tickets to the Vance Miles House Dinner on November 4th at 7pm. The guides who hosted the tours attended by those 4 winners and helped with the videos will also be invited to attend. When you win, your guide wins too. Get Started! Think about the story you’ll tell. Book your tour now and start practicing, then post your video to the Chesapeake Ghosts Facebook Group . Hi Margy. Yes, we got your submission and it’s a wonderful story. Thanks for your interest and you are now entered into the contest (as is Maria). Thanks.